This is the most photographed site in Vigan City. 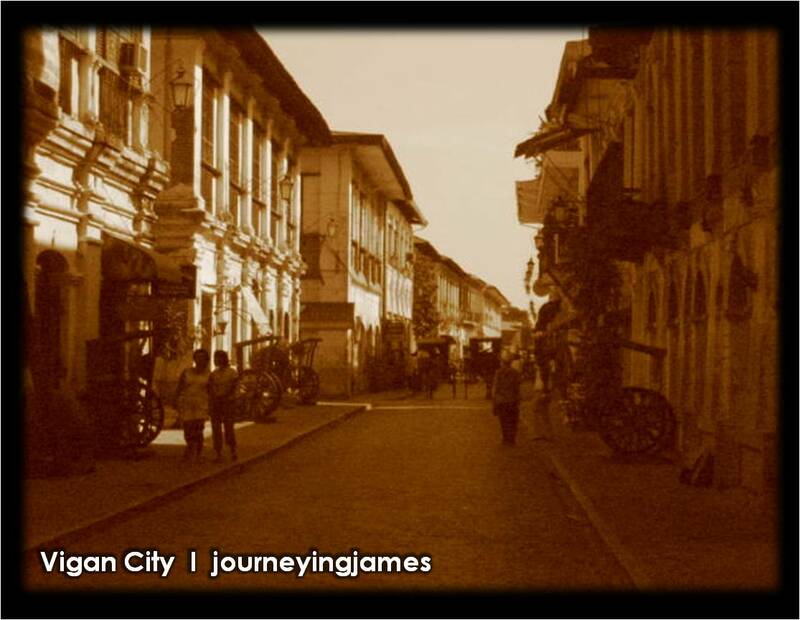 You haven’t been to Vigan City without taking a walk here (maybe I can compare it with Intramuros). This “calle” (street) would bring us back to the Spanish era with its ancestral houses, cobblestone road, and the transportation during their days, the “kalesa” (horse-drawn carriage). I got this shot 7 years ago (using our Old 2MP Canon set on Sepia mode). The past weeks, I was tracing back why I love travel & photography. I learned that I seriously started traveling during college and my passion for exploring places became unstoppable. Anyway, while doing some research, I learned that their are 5 World Heritage Sites in the Philippines (Thailand has 5; Malaysia has 3; and Singapore none). I have been to all of them except for the Tubbataha Reefs National Park (included in my Bucket List) and Paoay Church. Actually, I have blog about the 2 sites already: Puerto Princesa City Underground River and Miag-Ao Church. 1. Pagburnayan. “Burnay” or jars here are different from what we see in our homes. These are more durable because of the sand/clay used. 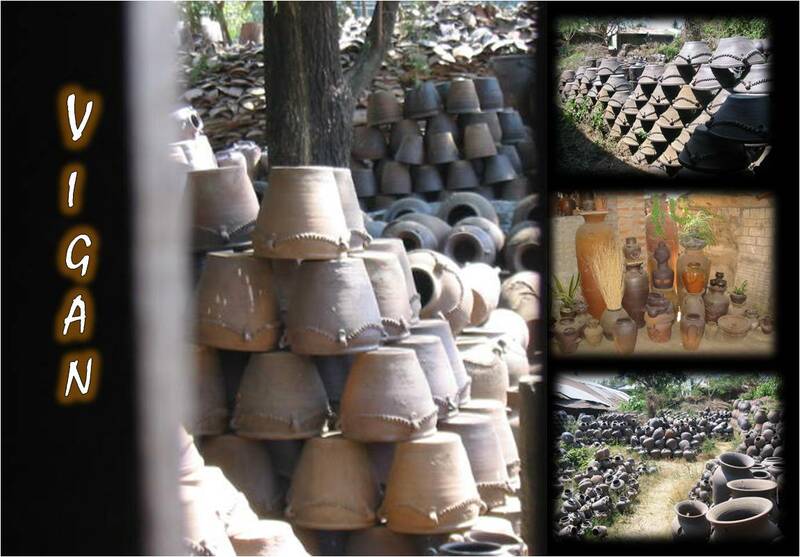 I can still remember their was a carabao helping the potter in one of his pottery-making. I hope they still do that today. 2. Taste their Special Empanada (buy from the plaza) and take home some “longganisa” for pasalubong. 7 years ago the Vigan Empanada is just PhP20, I think it costs P35 already. 4. Bantay Belfry. Built in 1591, this bellfry stands tall on a hill. Climbing to this would reawrd you the view of Vigan City. It also served as the people’s watchtower to alert them against enemies. Just a 15-minute drive from the city proper and is located at Bantay district. AUTO BUSLaong-laan cor. Dimasalang Sts. FARIñAS TRANSITLaong-laan cor. M. dela Fuente Sts. PARTAS TRANSITAurora Blvd. cor. Bernardo St.
Alternatively, Cebu Pacific and Philippine Airlines have daily flights to Laoag City, Ilocos Norte which is just a 2-hour bus ride going to Vigan City. You can find me at Facebook and/or follow me on Twitter. This entry was posted in Uncategorized and tagged Ilocos Sur, Snapshots, Vigan, Walk. Bookmark the permalink. visiting world heritage sites is really great and one of my favorite is miagao and batad. vigan's calle crisologo is also nice though i saw it only at night as we made it a stopover spot.definitely the best preserved site for heritage houses. i agree with you dong! ang ganda talga ng pilipinas no.kelan ka pupunta madz? btw, i hope we win sa boracay blogger's tour! wow! enjoy the longganisa and empanada sa plaza. im glad you always check the blog. continue traveling (and blogging) jerilyn! hope to see yah on the road. wow…!! been to vigan to…actually we toured almost all the tourist spots in ilocos sur and ilocos norte…it’s indeed a beautiful place..i like your blog men..keep it up!